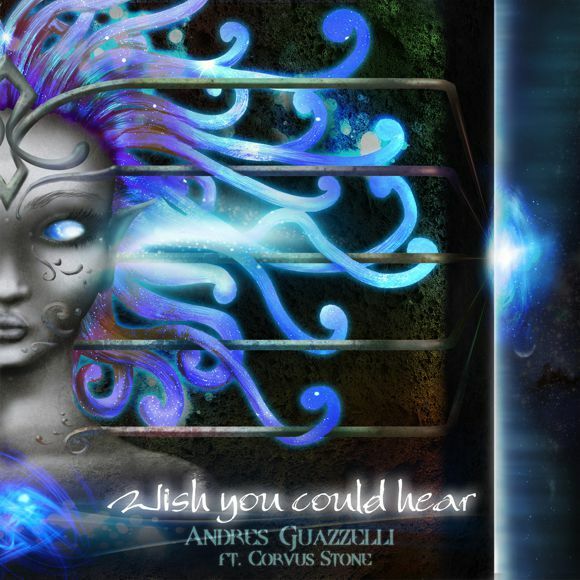 The first single “Wish You Could Hear” is released today and features some notable names from Melodic Revolution Records. Andres Guazzelli (born December 20, 1984) is an Argentinian singer, composer, producer, engineer, sound designer and film scorer from Mar del Plata. He earned a college degree in Audio Engineering & Music Production while continuing his studies in Music Theory, Harmony and Baroque composing. A major cinephile, Andres originally wanted to make a living recording and producing music, but during his college training, there was a portion of the curriculum that was all about Audio Post-Production for Film. He became so fascinated by it, he decided to make a career of it. He took special interest in ADR Recording & Mixing, as well as Foley Engineering. To date, he has worked on over 30 films. A classically-trained musician, Andres combines heavy orchestral work with the edginess and modern textures of progressive rock and the brass-driven dramatic scores from epic films. His music contains strong influences of baroque and classical music, as well as medieval and renaissance music, within the frame of symphonic rock. Andres is keen on ethnic sounds and textures, he spends a great deal of time studying and experimenting with African percussions, instruments and vocal textures, such as mbube and isicathamiya. I want to thank Nick Katona and Melodic Revolution Records for their trust in my music. It is the culmination of a long process, a musical evolution of many, many years. There was no better place for me than MRR. I found my niche! I hope you enjoy it. Thank you.